This is the 107th of my articles and photo essays on Russia’s architectural and cultural heritage for the foreign-language service of the Russian national newspaper Rossiiskaia Gazeta. A unified link to the series can be found at: rbth.com/discovering_russia This link gives access to a current total of 3,199 photographs from my documentary work in Russia. RBTH: William Craft Brumfield, photographer and historian of Russian architecture, is Professor of Slavic studies at Tulane University. He earned his Ph.D. in Slavic Languages (specializing in 19th-century Russian literature and history) at the University of California, Berkeley. He was assistant professor at Harvard University (1974-80) , and has held visiting appointments at the Universities of Wisconsin (1973-74) and Virginia (1985-86). He is the author and photographer of a number of works on Russian architecture: Gold in Azure: One Thousand Years of Russian Architecture (1983); The Origins of Modernism in Russian Architecture (1991); A History of Russian Architecture, which The New York Times Book Review included in its “Notable Books of the Year 1993” (1993); Lost Russia: Photographing the Ruins of Russian Architecture (1995); and Landmarks of Russian Architecture: A Photographic Survey (1997). He edited and contributed chapters to: Reshaping Russian Architecture: Western Technology, Utopian Dreams (1990), Christianity and the Arts in Russia (1991), and Russian Housing in the Modern Age: Design and Social History (1993). 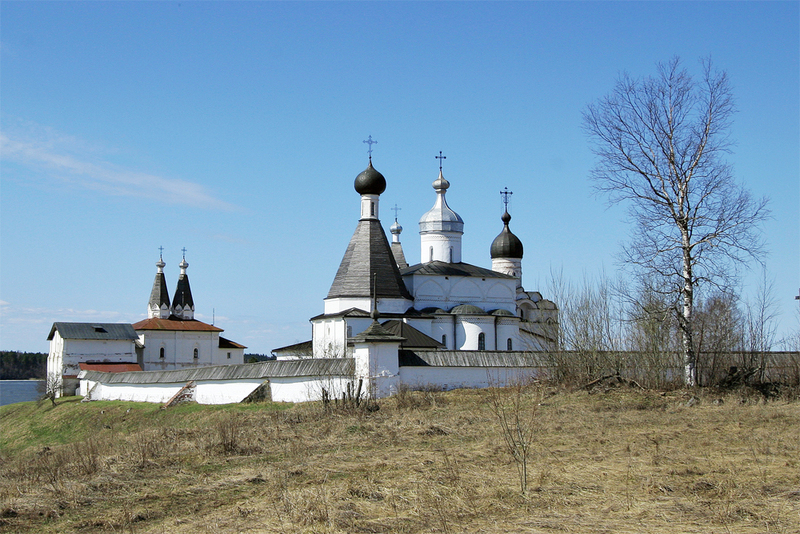 Since 2002 Brumfield has published 19 books in Russia, primarily on the architectural heritage of Russia’s regions. The books include 12 volumes in the “Discovering Russia” series (supported by grants from the Kennan Institute for Advnaced Russian Stuides), and 5 volumes in a series devoted to historic towns of the Vologda territory in the Russian North. Brumfield’s photographs of Russian architecture, which have been exhibited at numerous galleries and museums, are part of the collection of the Library of Congress as well as the Photographic Archives at the National Gallery of Art, Washington, D.C. In the fall of 2001 Brumfield had a major personal show at the State Museum of Architecture in Moscow. Brumfield has lived in Russia for a total of almost ten years, and has done graduate and post-doctoral research at Moscow and Leningrad Universities, as well as at the Russian Institute of Art History in Moscow. He has received many awards, including a fellowhip from the Guggenheim Foundation in 2000. In 1997 he received the annual Faculty Research Award from the Faculty of Liberal Arts and Sciences at Tulane. In April of 2002 William Brumfield was elected to the State Russian Academy of Architecturea and at 2006 to the State Russian Academy of Arts.